Made from a concentration of natural components (extract of ash, cornflower water, green tea and gingko biloba) known for their decongestant and draining qualities this cream is for reducing bags around the eyes. That draining power reduces the size and volume of puffy areas around the eyes, returning a more youthful and rested look. Free from fragrance, alcohol or colorants, its pH level is adapted to that of the eye area. 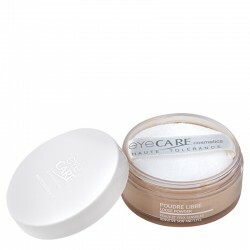 Gently apply around the eye with circular massaging movements both morning and evening. The area around the eye is decongested : 77 %. (Study conducted by IDEA on 17 volunteers, by application of the product under normal use over a 21 day period).